TRUSTED IDENTITIES IN DIGITAL BUSINESS. Digital business is causing massive shifts to the enterprise architecture and changing the nature of risk. Download the paper to learn about the best practices for securing your digitally enabled enterprise. 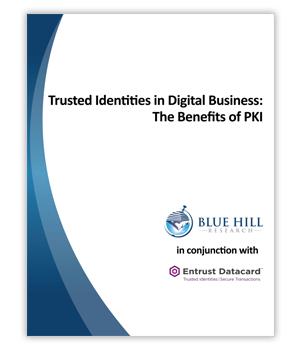 GET YOUR FREE BENEFITS OF PKI PAPER NOW!